When you’re looking for an adventure, nothing is quite like the Malumagpak Challenge held every May in New Bataan, Compostela Valley. The road is tough and challenging but the rewards are great. As you make your ascent, you’ll be treated to so many wonderful sights along the way. The Malumagpak Challenge is not for the faint of heart. The travel is long and can be weary. However, all your troubles will be forgotten once you get to the summit and see what beauty is laid before you. But while trekking the mountain can be an arduous affair, especially for those who don’t do much mountain climbing, the sights you see along the way are worth the hardships. A variety of plants and animals. The mountains are home to several species of plants and animals. If you like documenting wildlife and various plants, then you definitely won’t get bored while on this trek. The Manurigao-Malumagpak mountain is home to the Philippine eagle and wild deer. 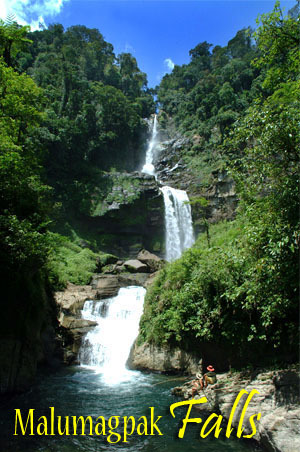 The mountain also has a 230-foot waterfall which is called home by kawili or freshwater shrimps. See the Mansaka tribe. The Manurigao-Malumagpak mountain is not just home to several plants and animals, but to a tribal community called the Mansaka. They are the most dominant indigenous group in Compostella Valley and have called the mountains home ever since. Through this challenge, you can observe their culture and way of life. Marvel at Malumagpak Falls. Take your arrival at the falls as a reward for your efforts in getting up the mountain. At 230 feet tall, the falls is a sight to behold. Equally impressive, the falls is a four-tiered beauty. Plus, the cool breeze is definitely something to look forward to after a long, hard journey. 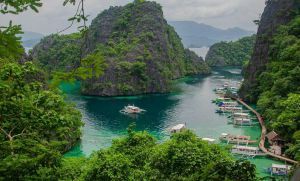 Taking on this challenge not only shows you just how wonderful the Philippines is but it also gives you a glimpse of a culture unlike our own. With the mountains being home to a tribal community, you get an appreciation for how they live so far away from modern inventions, as well as how they maintain their culture. In short, the Malumagpak Challenge is both enlightening and challenging yet fun. 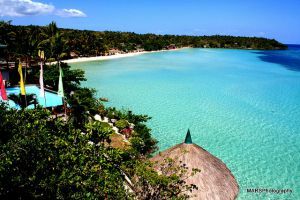 Book a flight to Davao City (your entry is the Davao International Airport). Take public transportation to get you to Nabuturan, the capital city of Compostella Valley. Get to the Sasa Wharf in Davao City. Buy tickets to get on a boat that will take you to Compostela Valley. Participating in the Malumagpak Challenge requires a registration fee. Since the actual value changes, it’s best not to be too specific for this post. However, in years that have passed, the fee was PHP 75 but that value could very well increase. In addition to paying a climbing registration fee, you will also need to pay a porter guide fee which can range from PHP 150 to PHP 500. As mentioned, the mountains aren’t easy to traverse and you will need all the help you can get, and that’s what the porter guides are there for. The Malumagpak Challenge is truly a once in a lifetime experience. It’s an adventure that leaves you breathless but also makes you appreciate the beauty of nature. And as such, makes you want to protect nature and keep her the way she is.